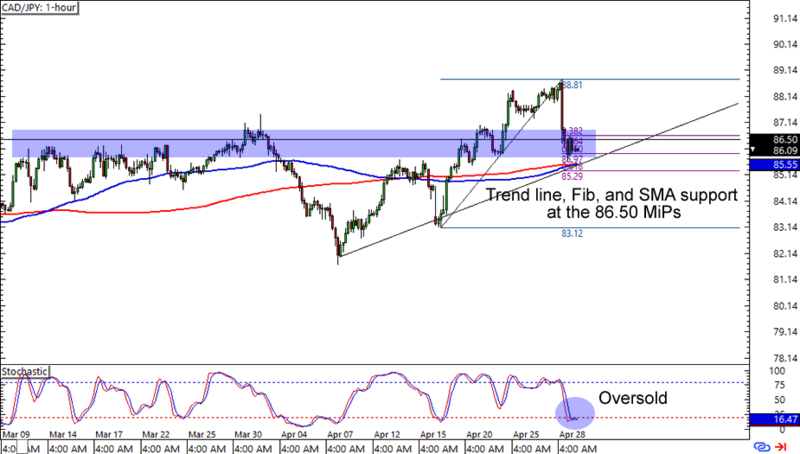 Let’s start off strong with this trend trade on CAD/JPY. The pair is hanging around the 86.00 major psychological level, which is right below the 86.50 area of interest on the 1-hour chart. What makes this setup more interesting is that a rising trend line, 50% Fib, and both the 100 and 200 SMAs are lining up to support a possible bounce at the level. Not only that, but stochastic is also in the oversold levels. A stop just below the trend line could get you a good trade especially if you aim for the previous highs. Just make sure you leave enough room for yen-related volatility today! NZD/USD is lollygagging at the .6950 minor psychological level (MiPs), which is right smack at the mid-channel resistance on the 4-hour time frame. What’s more, stochastic is also sporting an overbought signal. The bears can go for a countertrend trade and place profit targets around the channel support and 100 SMA while the bulls can wait for a few bullish candlesticks before pushing the pair higher in the chart. Here’s another one for yen traders out there! 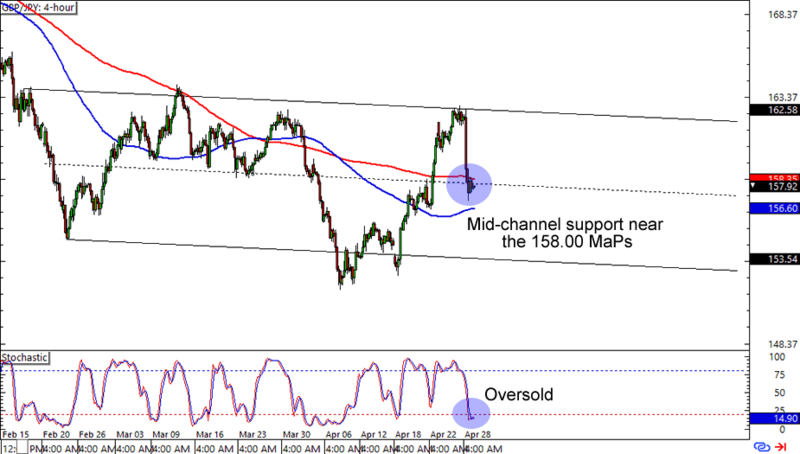 After falling from the 162.50 area, GBP/JPY is now stalling at the 158.00 major psychological (MaPs) handle. 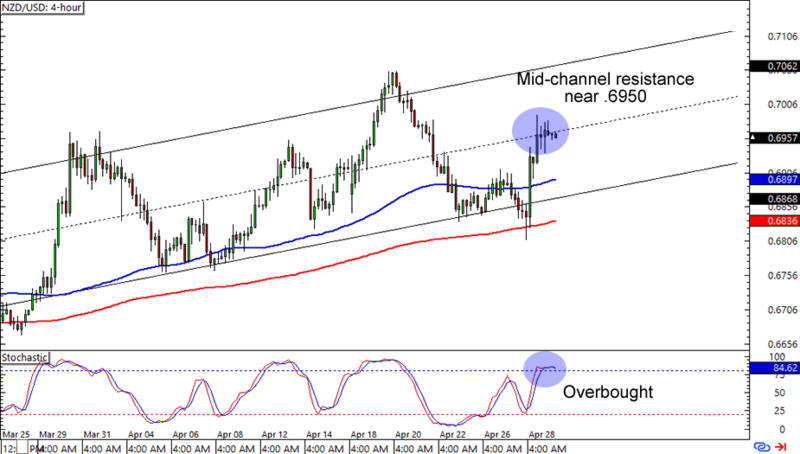 The bulls have a fighting chance at pushing the pair higher with stochastic in the oversold territory and the 4-hour mid-channel support still holding up. Think the pound is about to gain pips on the yen? Make sure you practice good risk management when you trade volatile pairs such as this one!